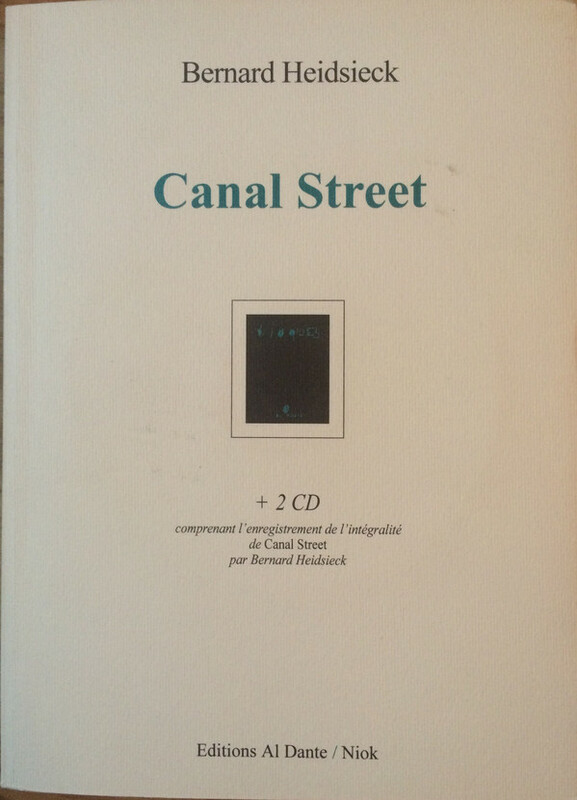 The poem "Canal Street" was written between 1974 and 1976, recorded in 1976 and then self-released as a 3LP boxset ten years later. This reissue from 2001 came out as two CDs with a book, published by sound poetry label Al Dente's Collection Niok subdivision in 2001. Hi, do you have "Respirations Et Brèves Rencontres?" I don't know why, but these Heidsieck sides sound great when I stick my earbuds up my nose. can you please upload "Respirations Et Brèves Rencontres?"